A key driver of this notable millennial brand loyalty here seems to be loyalty rewards. While price matters (across all generations), millennials are more likely than any other generation to stay loyal to a brand because of its loyalty rewards, In contrast, the older Gen X’s brand loyalty is driven by price and bargains. As a result of strong millennial brand loyalty and the loyalty rewards that drive it, 57% of Fortune 500 brands surveyed indicated that they will increase loyalty program budgets in 2017–18. The existing Customer loyalty program models are not only pain for consumers, but they raise many challenges and pain points for retailers too. 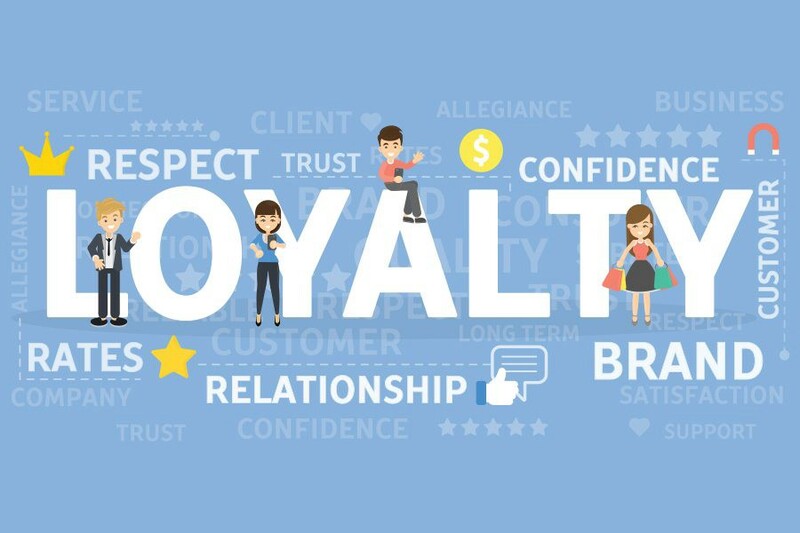 These include the costs associated with establishing, operating, and securing loyalty points programs, low redeem rate of earned loyalty points, customers finding the signup process overly complex, and the general overabundance of loyalty programs in the market. In the US alone, consumers hold more than 3.3 billion memberships in customer loyalty programs. Blockchains technology is an excellent solution for running network loyalty programs because they address many of these technical challenges. One of these solutions includes creating a shared transaction ledger between all involved brand, implementing interchanging rules based on “smart contracts”, which is fraud and cheating protected. This Blockchain network will be a shared scalable infrastructure between brands from different sectors. This blockchain model for loyalty programs enhances the value of points to users and brings in new value to the involved brands by creating trusted transactions. Loyalty points today are not interoperable among multiple stores of different groups. Customers often suffer from ‘loyalty program fatigue’ due to the vast number of programs available, which subsequently leads to loyalty program inactivity. One of the major reasons for this is that when this complex system is to be implemented(set-up) technically, it can be both expensive and tedious to set up and demand a significant investment of time and money. Blockchain can be used to connect different owners of loyalty programs and make the points they distribute interoperably. Transaction costs related to the issuance and redemption of reward tokens are much lower on the blockchain since they do not require a third-party. Blockchain also significantly reduces system management costs, thanks to smart contracts that automize processes, all while reducing costs related to instances of error. On top of this, brands themselves benefit from having access to an ecosystem of already loyal customers, which again reduces data acquisition costs. Through a trustless, decentralized technology solution, blockchain is centralizing the customer’s loyalty programs. All brands on the network decide how and with whom the customer uses these rewards, but from a consumer perspective, his/her ability to access and manage them is practically frictionless. Blockchain can enable a transaction to be recorded and accessed by multiple involved parties in near real time, increasing the chance that loyalty rewards program provider can cut through coordination inertia to credit points faster. Loyalty programs based on Blockchain where smart contracts will automate all transactions will make the management of loyalty programs smooth and autonomous. The data stored on blockchain will maintain the privacy of users which will increase the trust of the brand among users. Implementing joint loyalty program with other brands will be a piece of cake because smart contracts will take care of everything, from transferring of tokens, converting tokens, validating users during rewarding and redeeming of tokens, thus creating a trustful environment between multiple involved brands. Also one doesn’t have to rely on any 3rd party which gives each brand full access to their most valuable asset, data apart from saving the management cost. Blockchain and Loyalty programs go hand-in-hand. We would need a more secure, transparent, autonomous loyalty system and the only blockchain could ensure that.